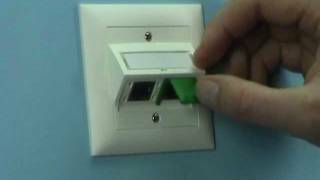 Offering dust protection and color coding to data outlets and patch panels. The cap with its rubber seal provide protection class IP54. Clip-on cap with soft rubber gasket for IP54 outlets, sealing the port and establishing a plugged connection (together with the Splash sleeve on the RJ45 patch cord) of protection class IP54.